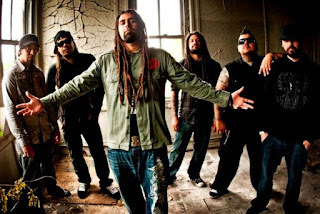 The six-piece metal band Ill Nino has definitely been on a musical rollercoaster since their debut album Revolution Revolucion was released back in 2001. The guys have been on three different labels and have seen several members come and go. They seemed to peak in 2003 with their release Confession. They haven’t been able to recapture that lightning in a bottle since that pushed them into the mainstream. All of that may change with their latest Latin infused style of metal entitled Epidemia. This is the band’s second release for Victory Records and the follow-up to 2010’s Dead New World. It’s a solid and focused album that, given the right amount of attention and push by their label, could very well help them recapture that magic from 2003. The album opens with “The Depression” as the track slams its fist on the counter, demanding the attention of the listener. The riffs come in strong and aggressive as lead singer Cristian Machado volleys back and forth with an impressive mix of screams and melodic clean vocals. “Only The Loved” continues with more of the same from the guys. “Eva” is a standout track as it sets an eerie tone with a creepy riff from the start that would make the song right at home in any slasher film. Machado delivers a solid vocal delivery on this one as again he mixes his styles up, but comes off in a very convincing way. This track is a bit reminiscent of older Ill Nino and I think after one listen, some of you may just agree. “Death Wants More” also offers up a strong delivery in its somewhat melodic delivery that still offers plenty of killer riffs. Another standout track would have to be “Forgive Me Father”. It’s a mainly clean vocal delivery from Machado that helps to convey the emotional elements behind the lyrics in an effective way. The riffs may not be as aggressive as on other tracks, but that works to the songs advantage given the lyrical content. 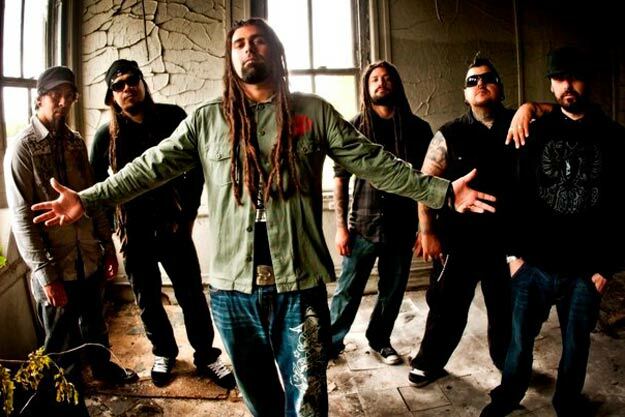 It still has that Ill Nino Latin flavor to it and it still manages to rock. It may be the most mainstream sounding track on the album. So, after listening to the entire album I found myself wondering what the fans would think of it. I think the newer fans of the band will definitely be happy with it as their more defined sound from the last few years is definitely there. I also think the older fans, and even some who may have given up on the band, will find this to be a more solid release with elements of early Ill Nino present throughout. Is it a perfect release? No, there are a few weak spots along the ride where the band seems to fall into a familiar pattern that some may find repetitive at times. Overall, it’s a more focused and stronger release from the guys and one that will please quite a few metal fans out there. Pick it up and crank it loud!